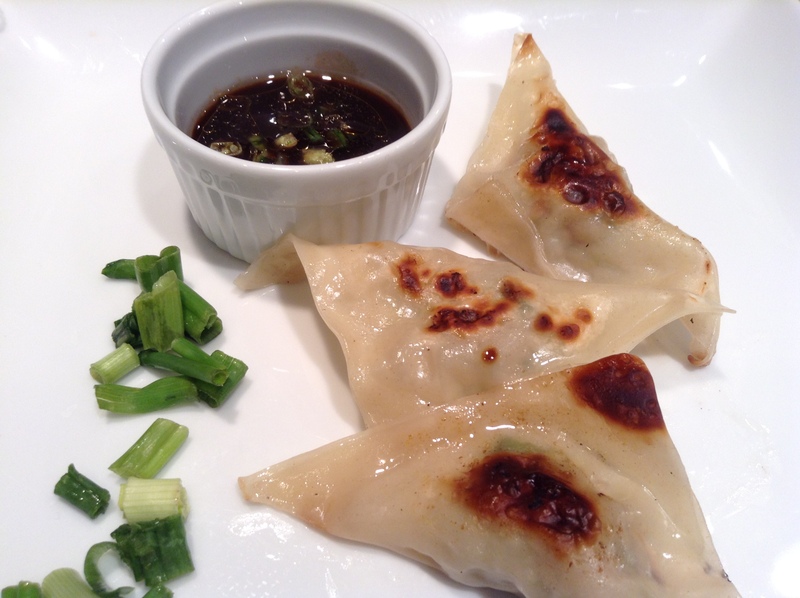 There he will order two things, Pork Pot stickers and Beef Pasta stir fry. If you try to make them, give your self some times because they will make a large bunch and it takes a bit of times to make the “ravioli”. 12 oz or 1 pack of ground chicken, turkey or pork(today I used pork). Steam the brocoli slaw according to directions, (or place it into the large round mold, place the octogonal silpat on top of that and cook it for 5 minutes.) Let it cool. When the brocoli is cold, chop it. 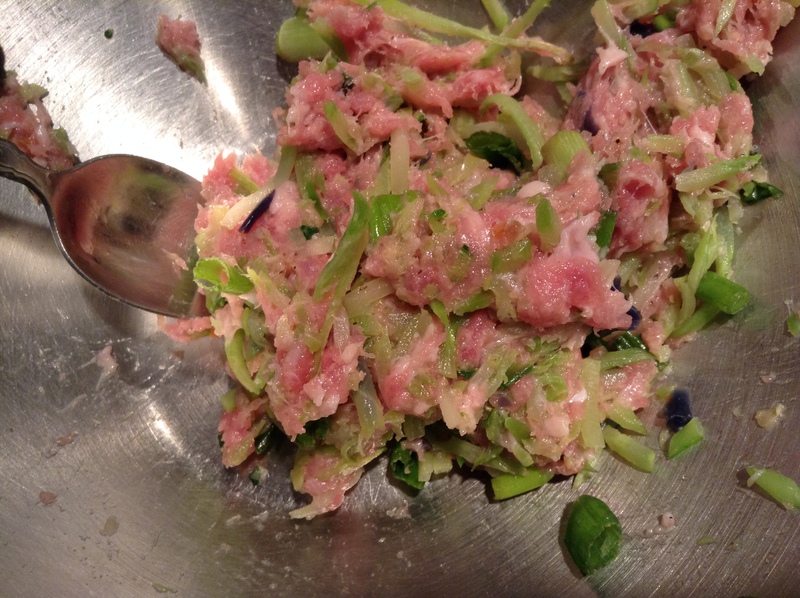 Place it into a large bowl, add the meat, all the other ingredients and mix well. 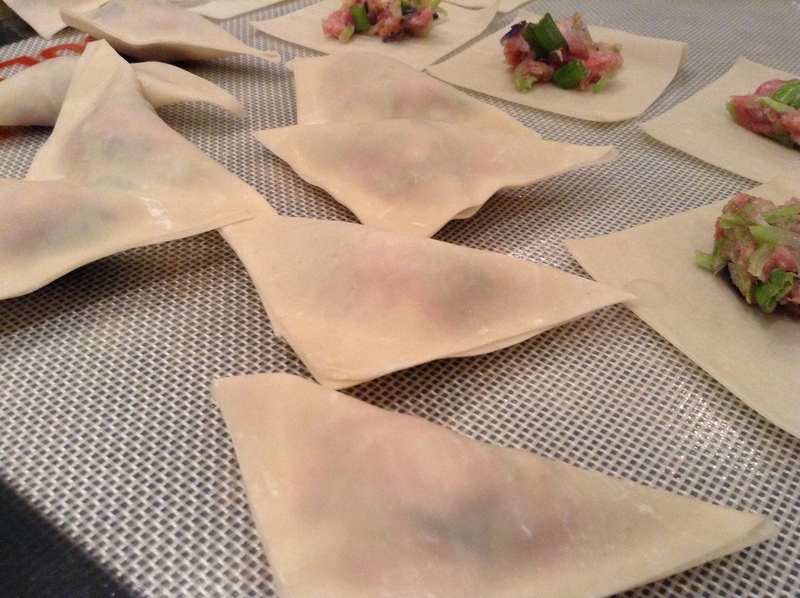 Place the rectangular roulpat on your counter and lay as many wonton on it as you can. 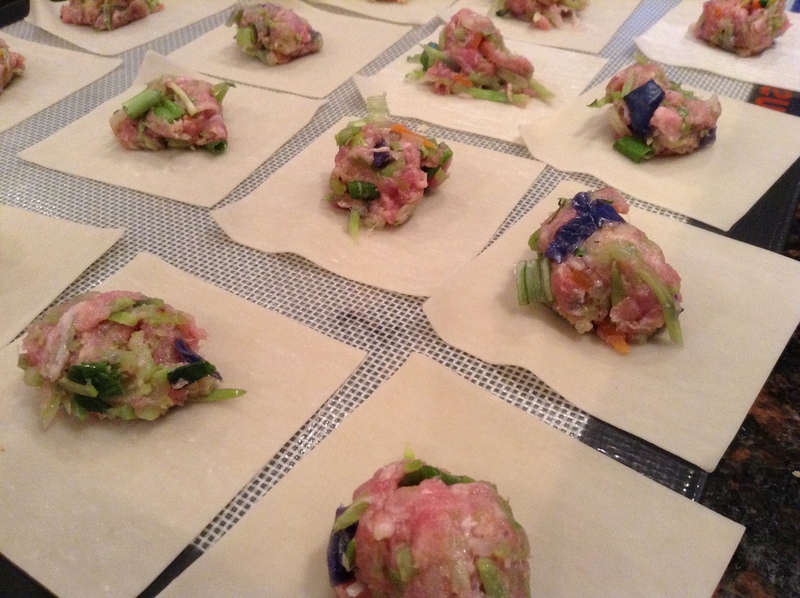 Place about a teaspoon of the meat mixture in the middle of each wonton. 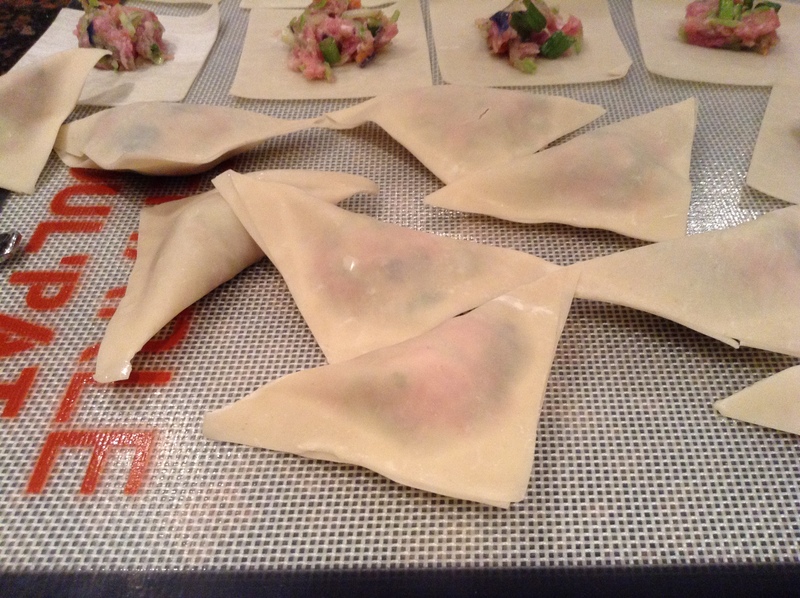 With a silicone brush, wet the sides of each wonton with water and close the wontons to make a triangle. If you do decide to freeze them, place them flat on a large silpat that you would place on a large perforated sheet. Make sure that they are not touching or they will stick to one another and it will be impossible to separate them as they are very fragile. Freeze them as such and when they are frozen, place them in a ziploc bag to keep for later use. 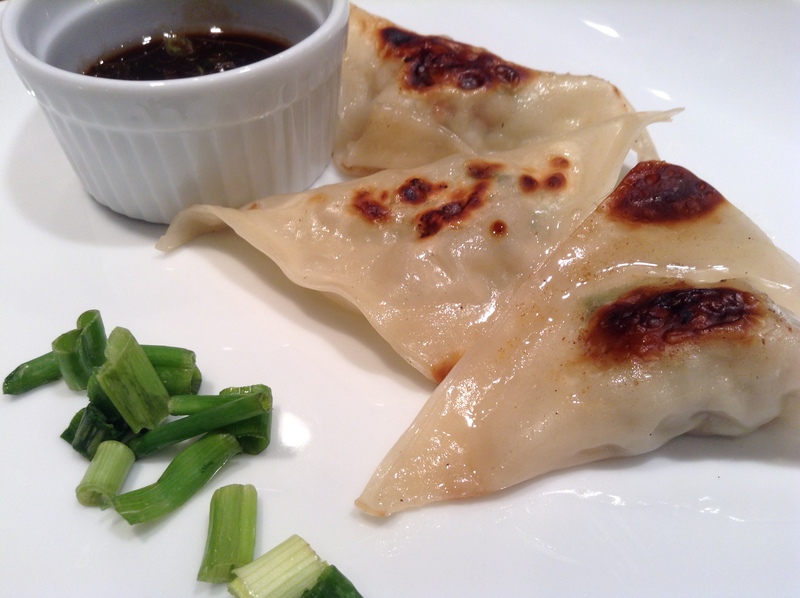 Place a large frying pan on the stove, melt one tbsp of butter and when the butter is sizzling, place as many wontons as you can in the pan. Sear them for a minute and then turn them. 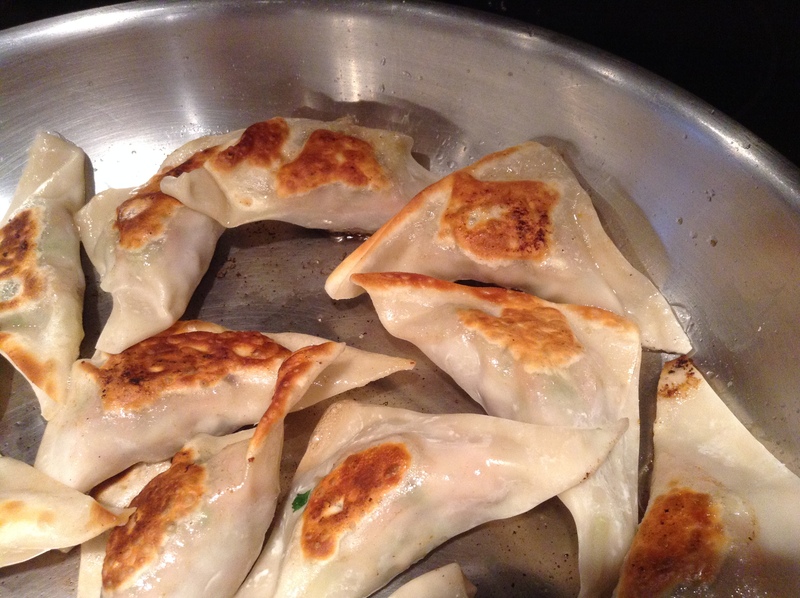 Throw 1/4 cup of water over the pot stickers and place the lid over them. Cook them for 5 minutes. Meanwhile prepare the sauce that goes with it. 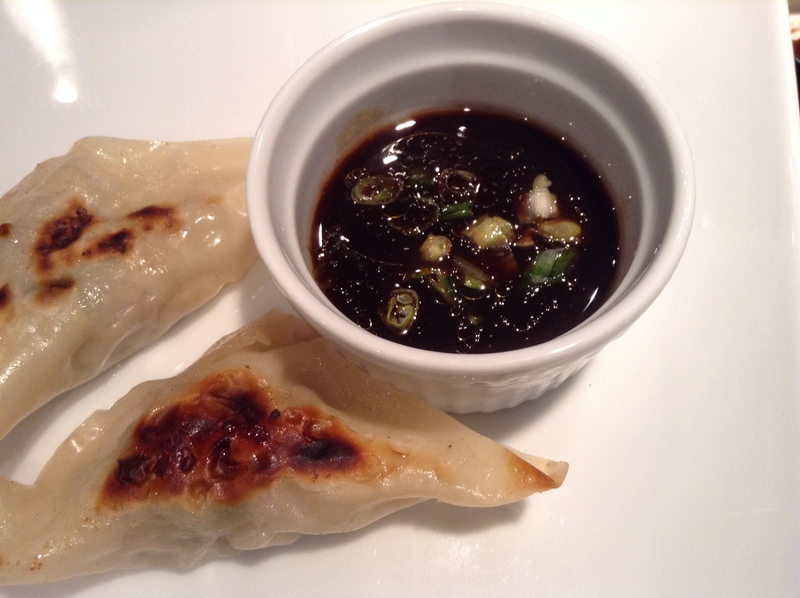 Eat while they are warm.